Caravan World magazine’s managing editor, Max Taylor (pictured below), has received one of the most prestigious awards in the recreational vehicle (RV) media landscape. 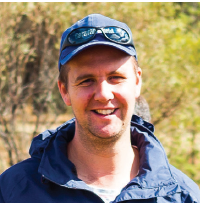 The Caravan Industry Associate of Victoria (CTIAV) awarded Taylor the Media Award in Recognition for Outstanding Commitment and Promotion to the Caravan Industry. The announcement was made at the CTIAV Hall of Fame Industry Awards held at the Crown Palladium. Taylor joins some of Australia’s most well-known media personalities to have received the award including Geoff Cox of Coxy’s Big Break. Caravan World’s credibility and position as Australia’s premier caravanning magazine has been built over 45 years, making it Australia’s longest-running RV magazine. 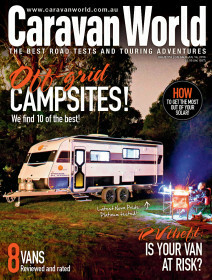 Published 12 times a year, Caravan World is part of Bauer Media’s Adventures group which also includes turu.com.au, CamperTrailer Australia, travelin.com.au, tradeRVs.com.au and Motorhome & Caravan Trader.